Aw~! Lelouch and Rolo as brothers...so cute. Rolo, what is with that daft look? 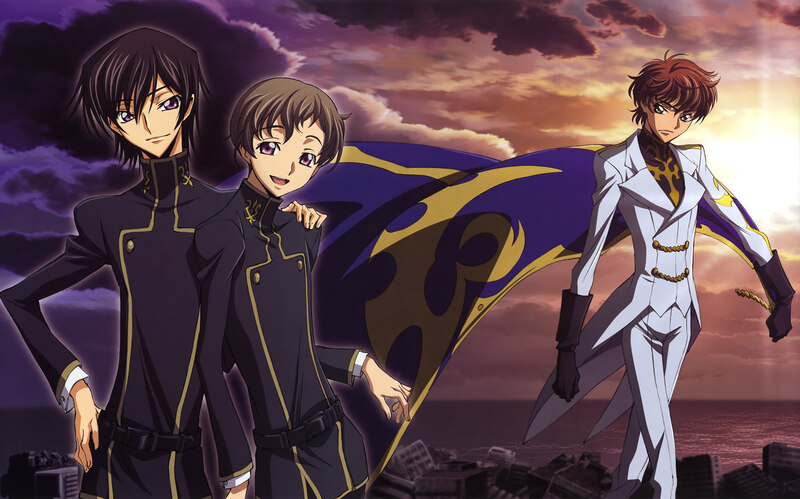 lelouch y rollo nice brothers! Nice scan man! It is awsome! Thanks! Rolo! is soo very cute! love triangle! I love them. lelouch! Suzaku's thinking - "hmph! howcome they get to do whatever they want and i do all the dirty work?" "darn i hate Rolo! Lelouch's MINE! *sob* "
Wonderful! Never seen this before, thank you!